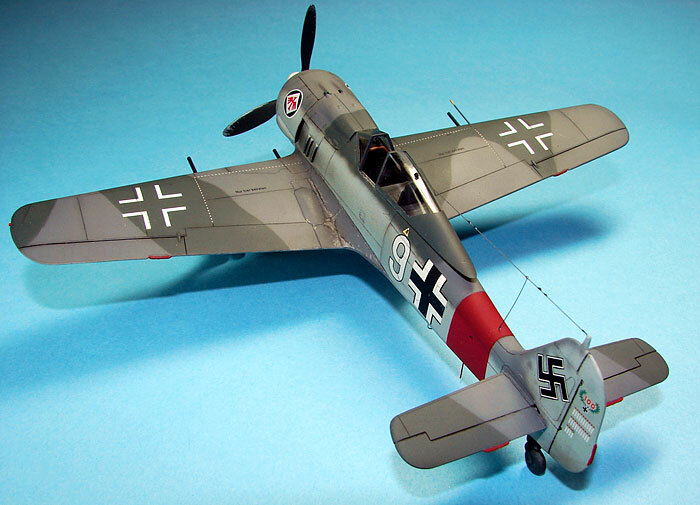 I chose to build the Fw 190 A-7 because it was a lesser seen variant of the 190 series with only about 80 being produced. I had a copy of Kagero's superb book on JG1 from 1944-1945 on hand and it came with a great set of decals...including markings for Hptm. 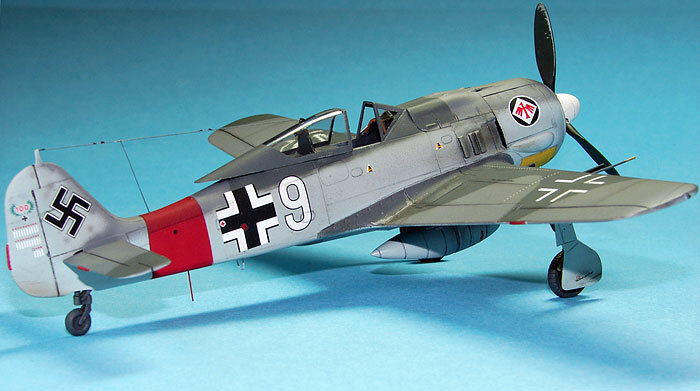 Alfred Grislawski's 190 A-7. 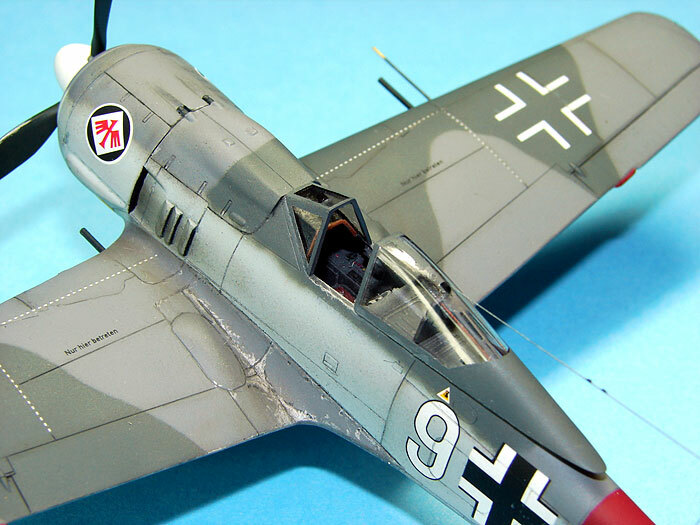 I chose to use Hasegawa's 1/72 scale 190 A-7 as the starting point for the build as it only needed a few tweaks to make a fairly accurate representation of this version. The kit cockpit was replaced with True Details resin cockpit set. There's no detail on the fuselage decking behind the pilot so I added Eduard's P/E brass detail here and in the canopy framing to dress that area up a bit. 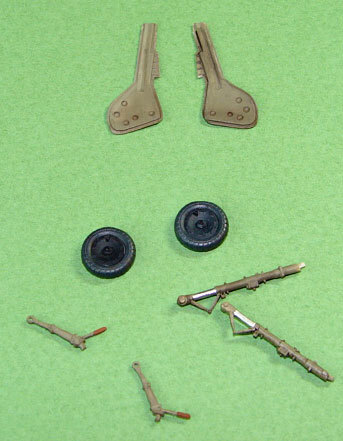 The kit landing gear is good for this scale but Cooper Details makes an excellent replacement set that's worth using. It includes new gear doors, wheels and landing struts for the main struts and for the tail gear as well. I chose not to use the tail strut parts. The cannon barrels were replaced with fine aluminum tubing and the pitot tube with plastic rod sections. The model was painted entirely with ModelMaster enamels and acrylics paints which went on very nicely using my Iwata Eclipse airbrush. 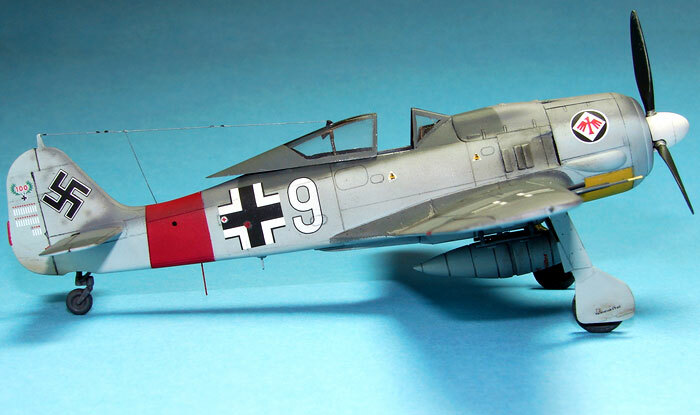 The demarcation lines between colors were kept consistent and fine using paper templates attached to the model with tiny rolls of tape to keep them about 1/8" inch off the surface during paint application. This results in a fine but soft edge between colors...a challenge in small scale painting. After a coat of Future I applied Kagero's decals as well as markings from an EagleCals decal set for the 190. Micro sol/set were used to get the decals to settle down nicely. 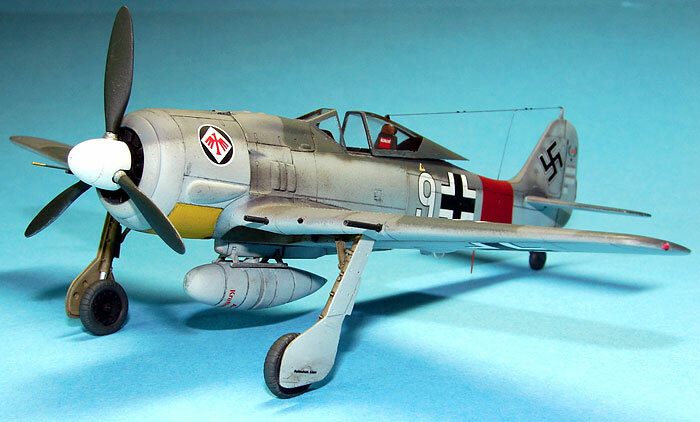 The exhaust and other weathering touches were then added. I used pastel chalks and pencils for the dirt and grime in addition to the chipped paint areas. Final touches were the various antennae which were scratch made as the kit parts are too thick. The loop antenna is PE scrap cut to fit...the other belly antenna is a section of stainless steel wire. The small wire antenna topside is made from stretched sprue and was attached with white glue at the canopy end...Zap adhesive at the tail end. 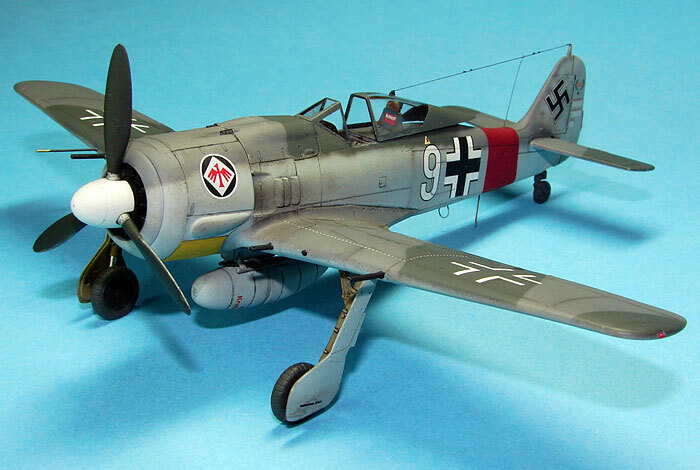 This was a fairly trouble free project even with the detail improvements and one I'll do again with another variant using Hasegawa's great little 190 kits.